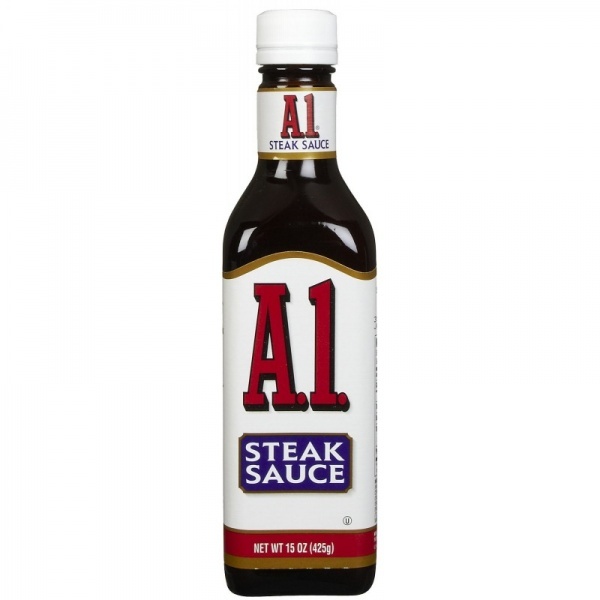 For 180 years Original steak sauce has served as the perfect companion to steak. From start to finish , use it as a marinade,brush it on while grilling or just pour in on at the table. TOMATO PUREE (WATER, TOMATO PASTE), DISTILLED VINEGAR, CORN SYRUP, SALT, RAISIN PASTE, CRUSHED ORANGE PUREE, SPICES AND HERBS, DRIED GARLIC AND ONION, CARAMEL COLOR, POTASSIUM SORBATE (TO PRESERVE FRESHNESS), XANTHAN GUM.